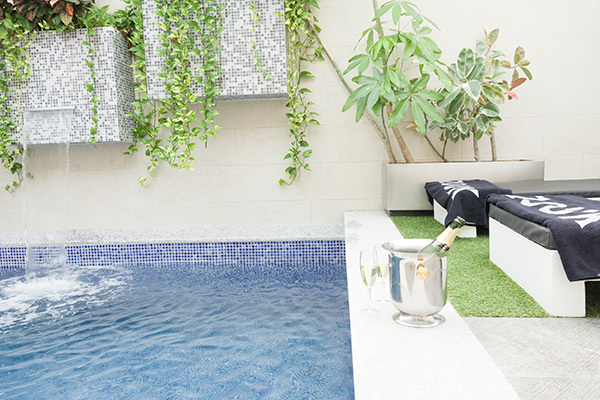 Zouk is a hourly rated hotel with Jacuzzi in Madrid, ideal for a romantic moment with your partner, with all the services and hourly rates which range from a few hours to a whole day. 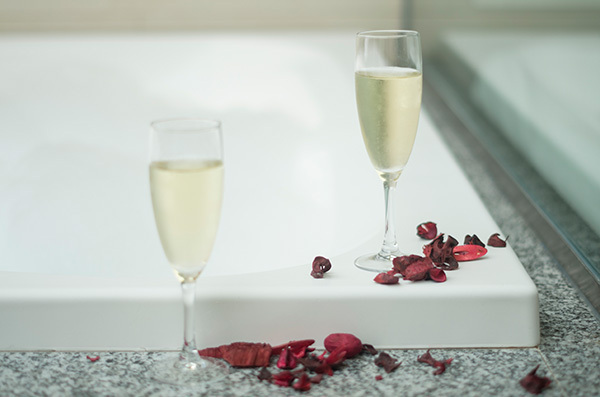 Jacuzzis are without any doubt one of our room´s key pieces. Our water massage tubs will grant you some awesome relaxing moments, where you will enjoy a complete tranquility, since we guarantee the utmost intimacy in each and every of our rooms and suites, which besides this service also offer private heated pool, roof panel solarium, for you to enjoy the open air as much as the privacy, or the 24-hour room service. 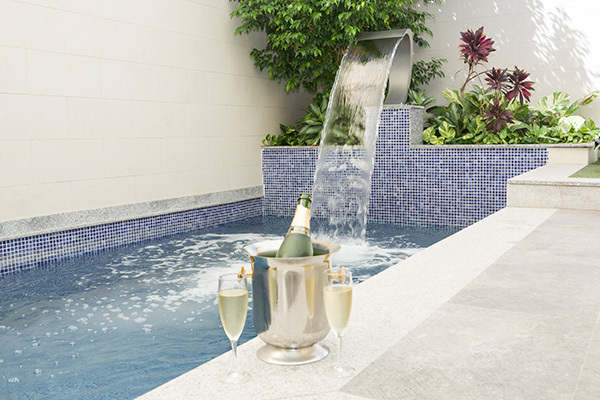 Want to enjoy a drink in your Jacuzzi? You can do so, calling our staff anytime. We will always respect your privacy in the room. 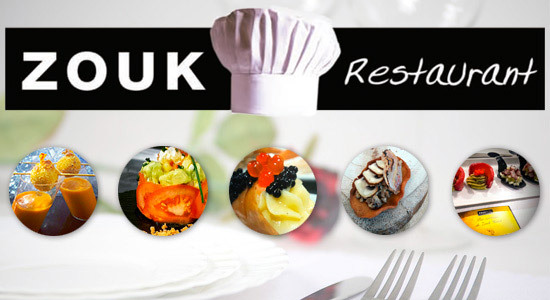 We also offer our delicious restaurant menu, using the best meats and fish for our dishes. 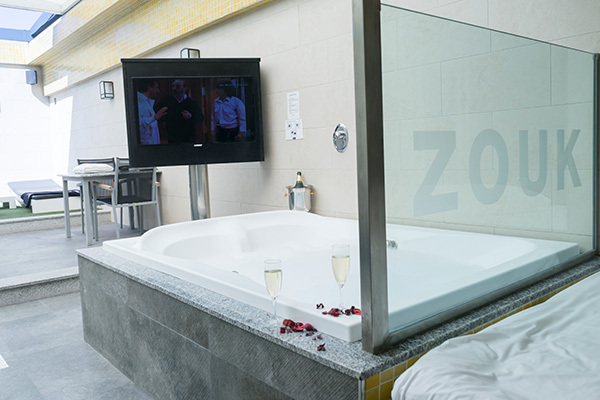 At Zouk you will find suites featuring private Jacuzzi and sauna, as well as rooms with private heated pool which can also be covered or uncovered at your disposal, since it features a roof panel. We are a charming intimate hotel, which offers private garage in every suite to ensure your privacy all the time. Contact us if you want to book your room. We offer 70 different suites for you to find the one that meets your taste.